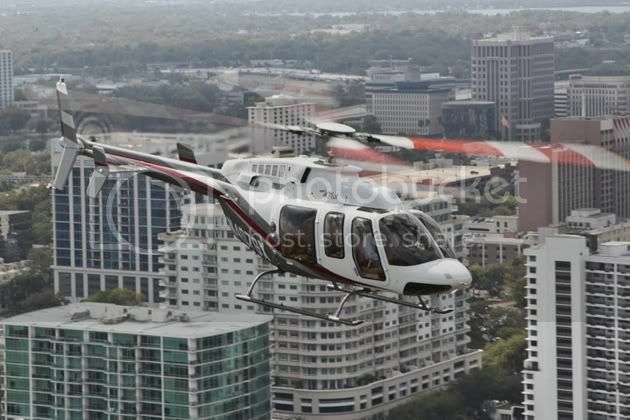 Bell Helicopter has announced that it has delivered the first Bell 407GX to be operated in Africa. According to a 7 August 2012 statement, the 407GX will be operated by an unnamed private customer in a corporate capacity. Built on the success of the Bell 407, the 407GX is equipped with the Garmin G1000H integrated glass flight deck, which provides pilots flight information more effectively for greater situational awareness. According to Bell, this makes the 407GX �an ideal aircraft for flying in challenging, diverse environments, such as the arid deserts and mountainous terrain of Africa�. The company said the 407GX includes a variety of operational features such as a choice of maximum internal gross weights, high main rotor clearance (8ft), excellent hover performance, powerful FADEC-controlled engine, comfortable seating for seven and optional Quiet Cruise kit. Blade fold capability, cargo hook and a host of OEM kits and customising offerings are also available, making the aircraft suitable for a variety of missions.